LNSSI helps agencies identify intelligence threats and develop mitigation strategies to neutralize threats. This includes offering insider threat capabilities to identity and reduce security threats from current or former employees, contractors, business partners or other associates. Threat detection and analysis can be performed around individuals, events and specific locations. Solution offerings include counterintelligence analysis, continuous investigations and monitoring of clearance holders, facility access verification and monitoring, and threat detection and analysis. 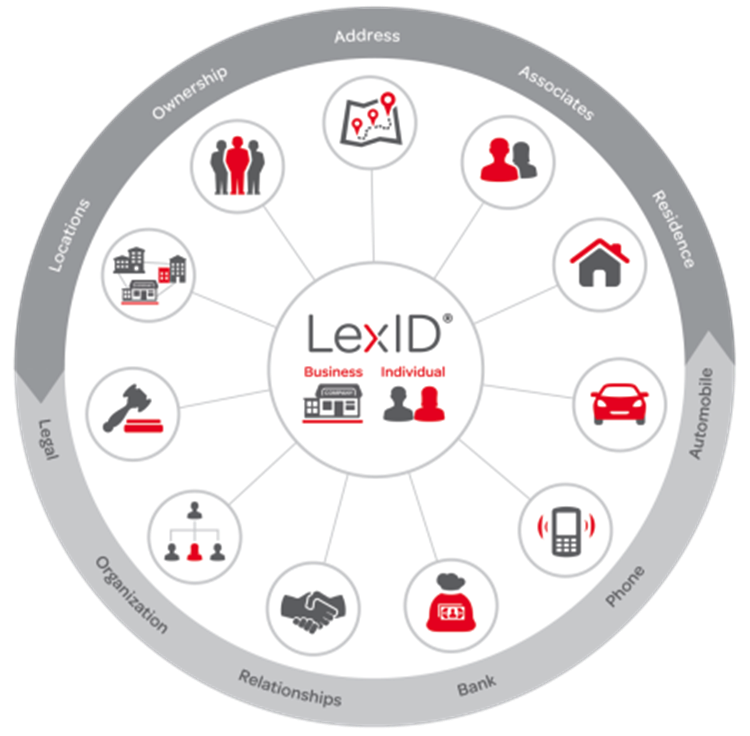 LexID® is our patented linking technology and is the ingredient behind our products that turns disparate information into meaningful insights. This technology enables agencies using our solutions to identify, link and organize information quickly with a high degree of accuracy. Get a More Complete Picture – Make intelligent information connections beyond the obvious by drawing insights from both traditional and new sources of data. Better Results, Faster – Use fast linking technology for processing large amounts of data to help you make decisions more quickly and confidently. Protect Private Information – Keep personally identifiable information (PII) secure and enjoy peace of mind knowing you are taking steps to observe the highest levels of privacy and compliance.